Today we were faced with resizing over 200 images, which to some people may sound like a nightmare but when you know how to resize multiple images in Photoshop this lengthy job becomes complete in a matter of seconds/minutes. If you have sub folders in your folder don't worry there's an option for that too, just like on our screenshot below tick the box that reads Include All sub-folders. 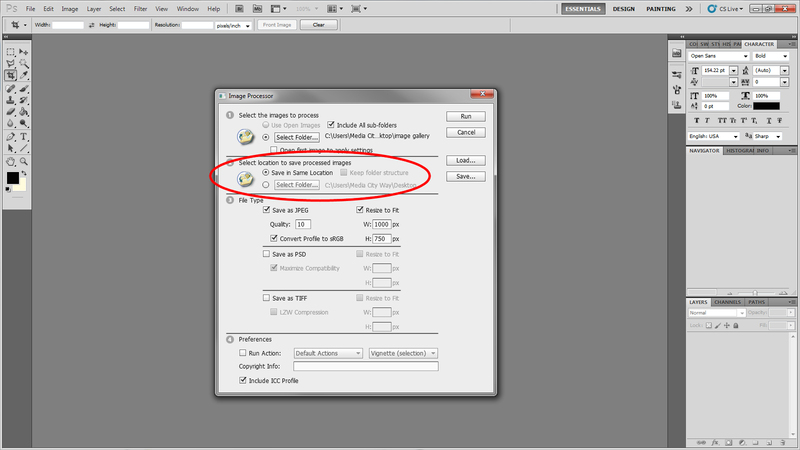 You can leave the tick box "Open first image to apply settings" blank. 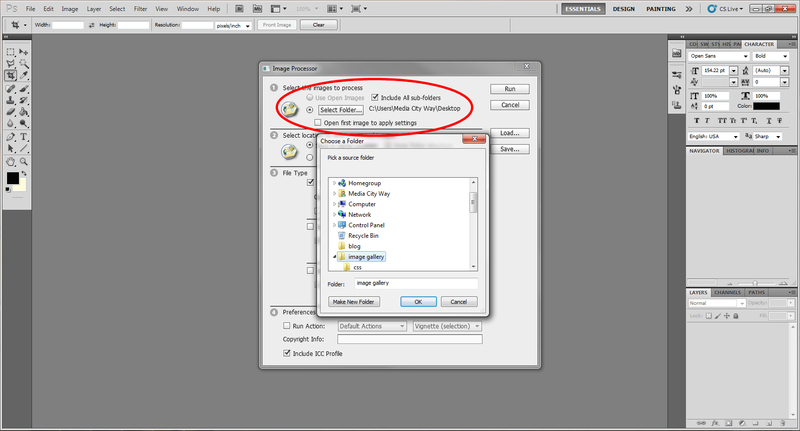 Now you can select where you want to save your new images, if you click the radio button Save in Same Location Photoshop will create a sub-folder in that folder for you so you don't lose or overwrite your original files. Alternatively you can select a folder if you want to and all your images will be saved there. Before the script runs you'll need to tell Photoshop what quality and format you'd like. Quality ranges from 0 (lowest) to 12 (the best), the higher the quality the bigger your image sizes will be. If (like us) you are creating images for the web we recommend choosing a Quality between 8 and 12 and also tick the box "Convert Profile to sRGB", this gives you better colour on the web. At the bottom of the window you'll also want to tick the box "Include ICC Profile". Now to the main reason you're reading this post, resize your images. We are saving our images as jpeg's so we tick the box "Save as JPEG" we will also tick "Resize to Fit" because we want our images to keep their ratios. Now all that is left to do is enter the maximum size you want your image height and width to be. As mentioned don't worry about your images ratio, this will be exactly the same. If you want to you can also select other formats to save your image, simply tick the format you want and to keep the images ratio tick "Resize to Fit". 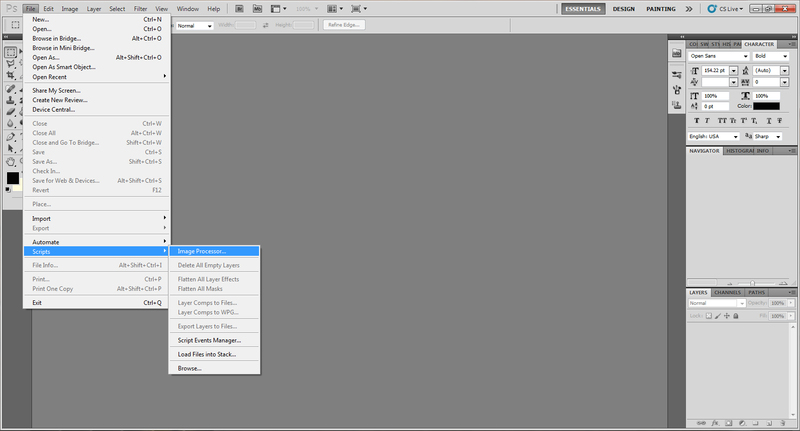 To see your new resized images just go to the folder you told Photoshop where to save them. If this post helped you out we'd love to hear from you, leave us a comment below.